Our Carrier Connection solution has the industry clamoring. We’re changing the way you view carrier connectivity and benefits administration. 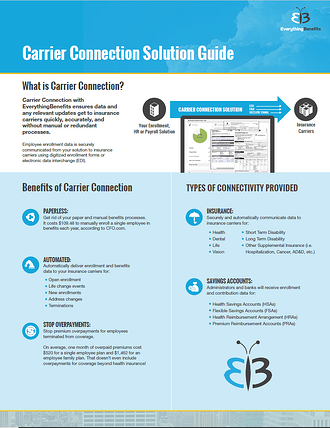 Download the Carrier Connection Solution Guide!